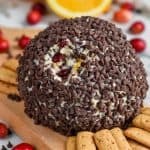 This Cranberry Orange Chocolate Chip Cheese Ball is such an easy dessert and perfect for parties. 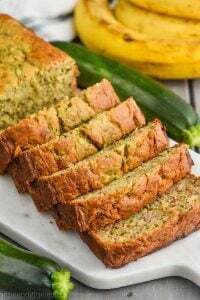 It makes for a great holiday recipe and will be the first thing to go. 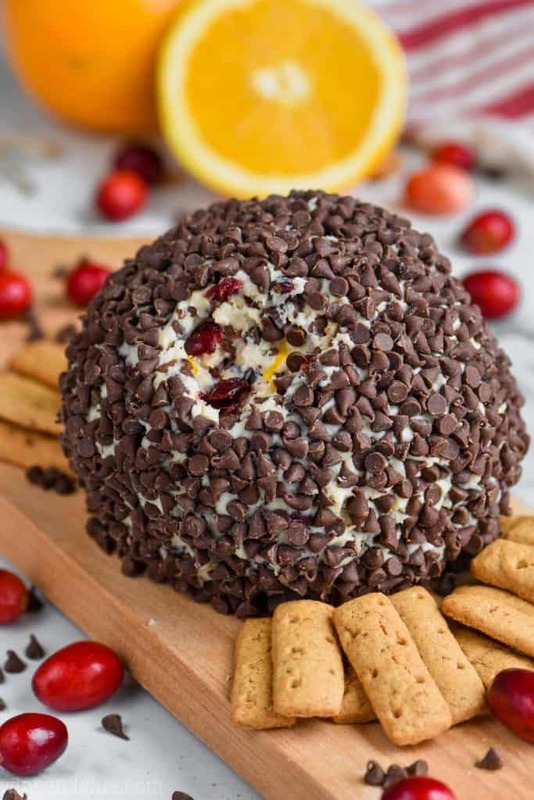 If you are looking for perfect cheese ball recipes, look no further! Happy Monday, friends! Did you have a good holiday weekend? We were lucky enough to have a solid five days together as a family. We went bowling, spent time with family, had a cousin sleep over, went to a movie, and got our Christmas tree! And now it’s Monday and I need a nap, hahaha! 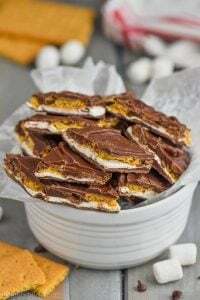 I’m scrounging up all the recipes that I MUST post for you before Christmas. 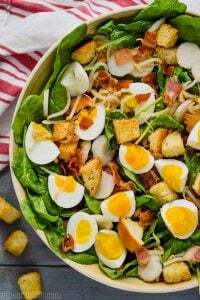 Recipes that are perfect for a holiday meal, or just delicious must make appetizers and party food. If you have any special requests, don’t hesitate to leave a comment or reach out. I want to hear it! You may not have noticed lately, but I’ve gotten a little obsessed with cheeseballs. It’s like my fudge recipes. Once I have a base formula for something, I want to make ALL THE VARIATIONS. Yesterday I published 30 Cheese Ball Recipes, but there was one that was missing! This amazing cheese ball recipe is maybe my new favorite thing ever. 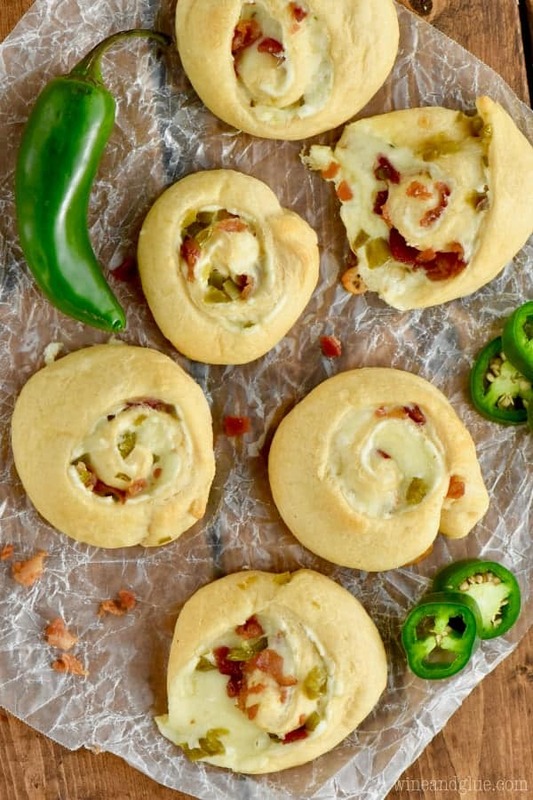 While I do love a classic cheese ball recipe, this sweet twist is pretty special. 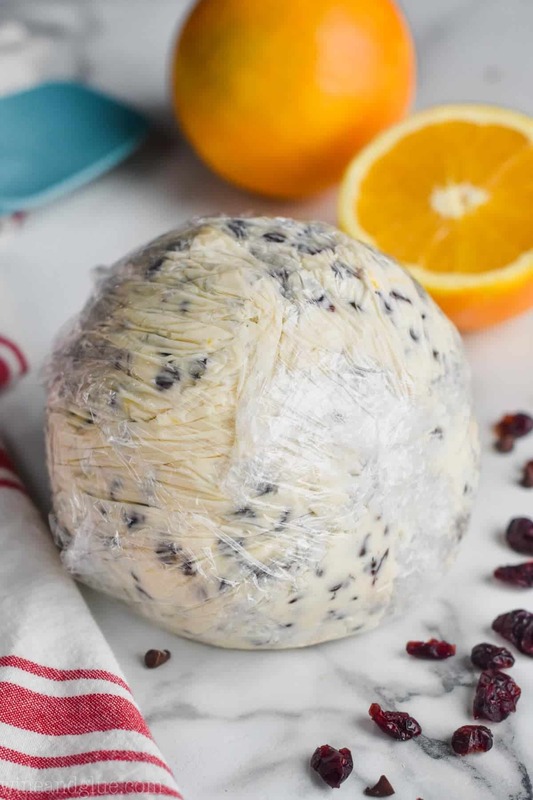 I brought this cheese ball recipe with cream cheese along with us to Thanksgiving and it got devoured! 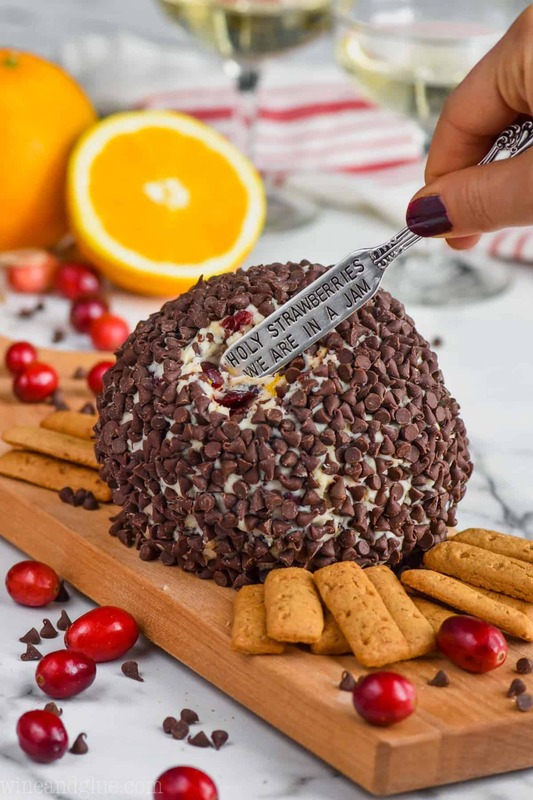 It’s a dessert cheese ball, but not too sweet. And the cranberry and orange flavors work together perfectly. WHAT ARE THE INGREDIENTS FOR CHEESE BALL? 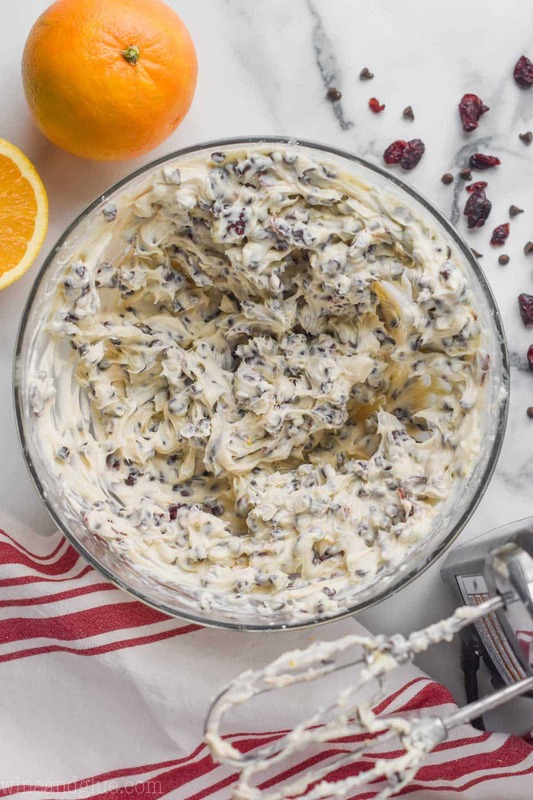 The key to making an easy cheese ball is starting with some room temperature cream cheese. Honestly, from there, you just want to add in delicious flavors that work well together. 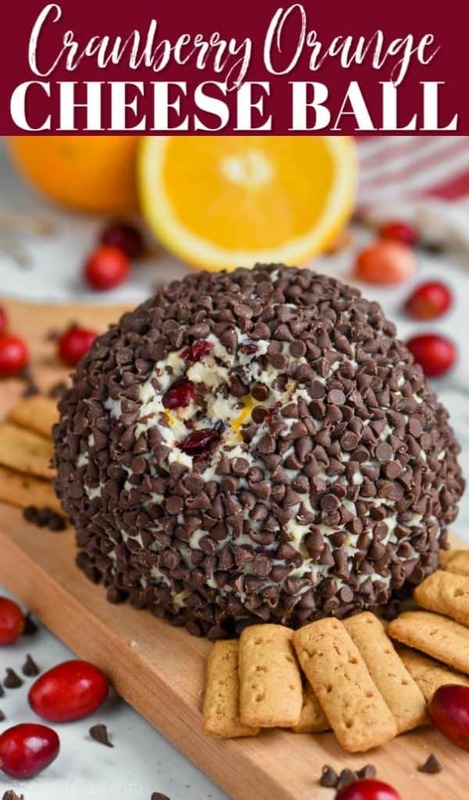 If you are making a dessert cheese ball, throw in some powdered sugar. Be mindful that you not add anything liquidy or the cheese ball won’t come together. 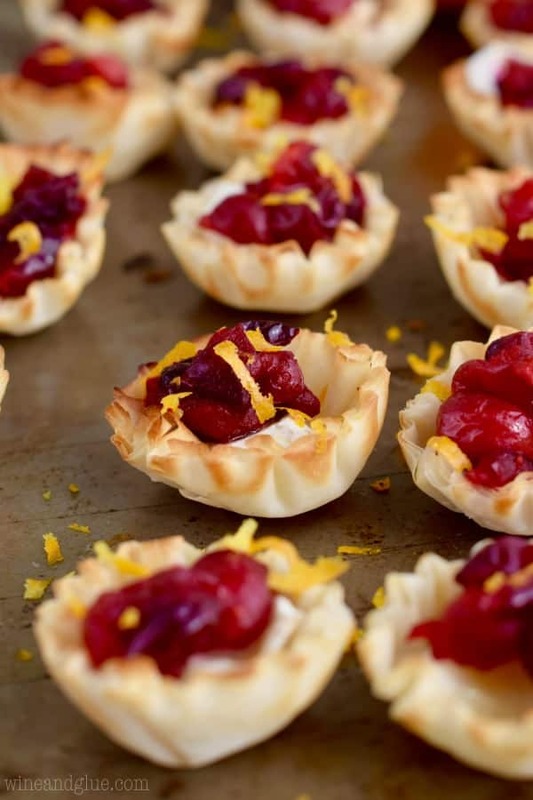 Like cranberry sauce in this recipe instead of dried cranberries wouldn’t be a good call. Don’t ask me how I know. HOW DO YOU MAKE AN EASY CHEESE BALL? Beat together the cream cheese, powdered sugar, and any flavoring you are using for your cheese ball. In this case, that would be the orange juice and the orange zest. 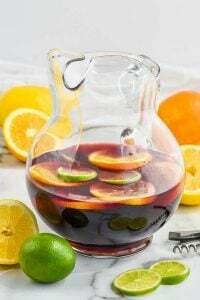 Yes, that’s right, I told you to not add anything too liquidy and then I’m telling you to add in orange juice. But hang in there with me, guys. It’s just two tablespoons. Then mix in the dry ingredients. In this case that would be the chocolate chips and the dried cranberries. 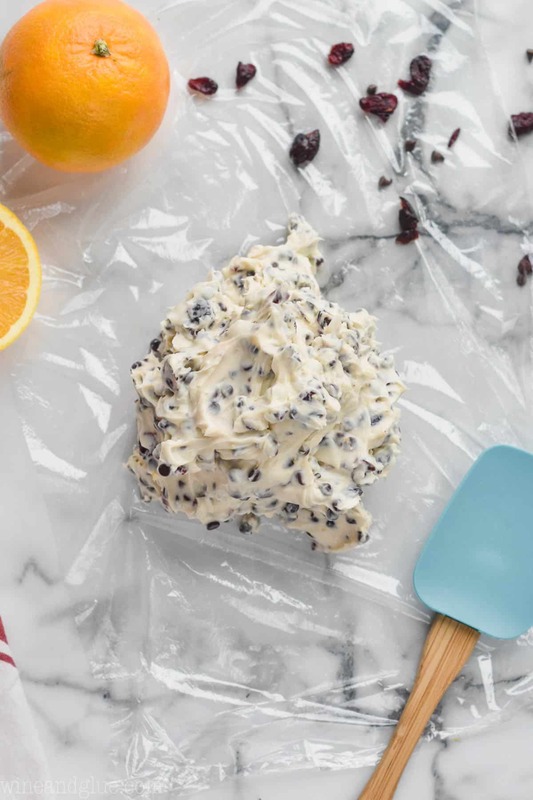 Put the mixture onto plastic wrap and use that to form into a ball. You may need more than one piece of plastic wrap to form the cheese ball. Do your best to form into into a nice ball shape. And then put it in the refrigerator over night. After the cheeseball has refrigerated over night, you can coat it in the rest of the mini chocolate chips and serve it with crackers and fruit! It makes such a pretty and delicious holiday recipe. HOW LONG DO CHEESE BALLS LAST? 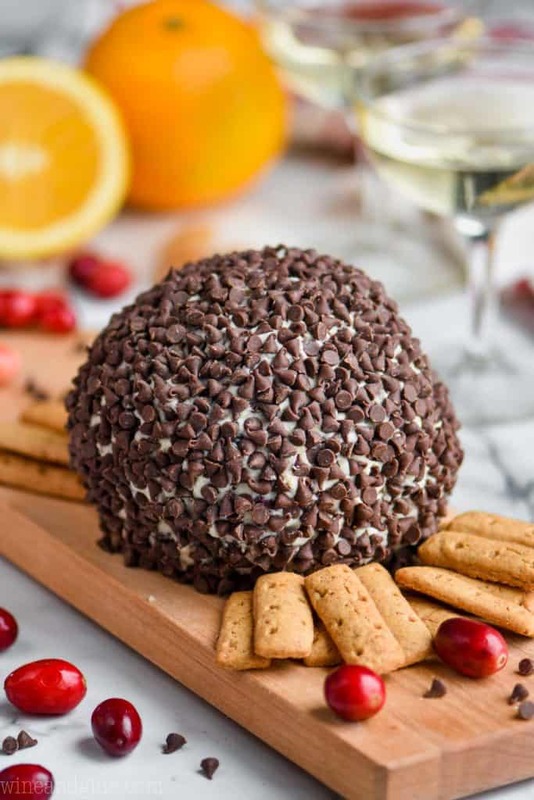 Once all of the ingredients of the cheese ball are mixed together and before you put the coating on, you can leave it in your refrigerator for two to three days. Once you coat it and put it out, it’s generally best if it is eaten with a day or two (of course not letting it sit out too long at any one time). This particular cheese ball can go a little longer because it is just chocolate chips on the outside. However, my olive cheese ball, for example, would need to be eaten faster. 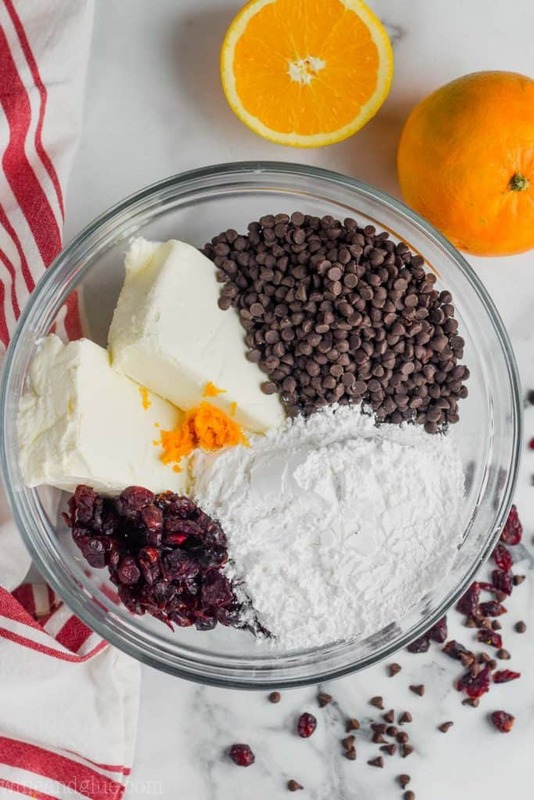 In a large bowl blend together the cream cheese, powdered sugar, orange zest, and orange juice until fully combined. Gently stir in 1 cup of the chocolate chips and cranberries. Form the mixture into a ball, using plastic wrap. Refrigerate overnight. 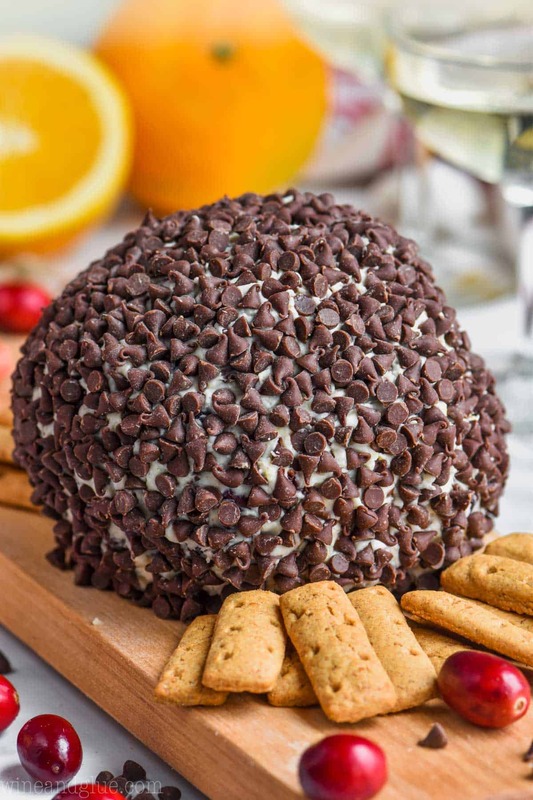 Before serving, coat the cheese ball in the remaining 1 1/2 cups chocolate chips. 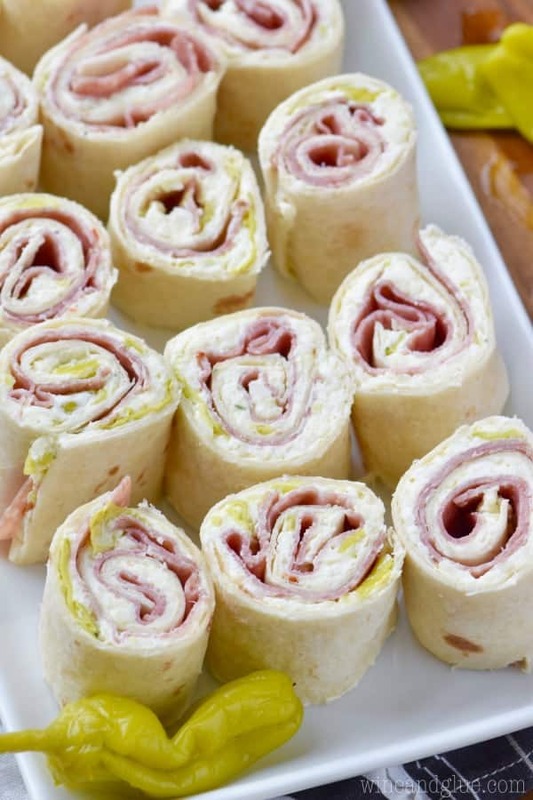 Serve with fruit and graham crackers and enjoy! Lisa brought her orange. Cranberry cheese ball to our familyThanksgiving.